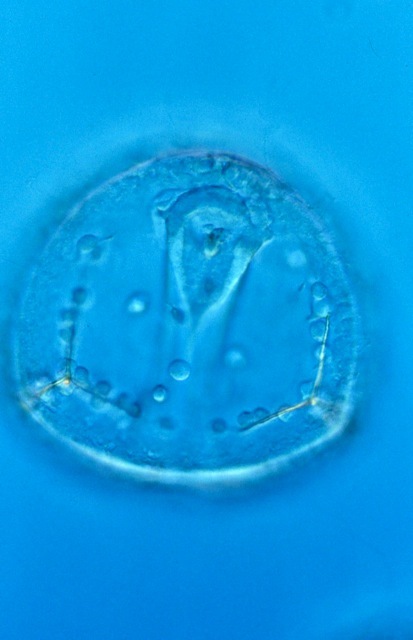 “The first time I peered down a microscope at a living sea urchin embryo when I was a graduate student at Berkeley I was absolutely hooked on developmental biology. Christians, when they’re doing science, are experiencing something that I call ‘doxological fascination’. In other words, they’re locked in on the minute details of something – which academics tend to do – and yet they’re doing it for God’s glory, in the same way that Johann Sebastian Bach wrote SDG (Soli Deo Gloria) in all the margins of his manuscripts. [I know a scientist who writes SDG on all her lecture notes and in her lab book – Ruth]. They’re trying to, in Keplerian fashion, ‘think God’s thoughts after him’. The most beautiful experience we can have is the mysterious. It is the fundamental emotion that stands at the cradle of true art and true science. Whoever does not know it and can no longer wonder, no longer marvel, is as good as dead, and his eyes are dimmed. I want them to be much better than dead by the end of the semester! My students don’t yet understand how incredible embryos are, and my goal in teaching biology is that they would not be the sort that are sitting around ‘picking blackberries’. I think that this is a new idea to some of my students, and it’s a touch point that I have in common with them, whatever their faith commitments are. I love this example of someone who is passionate about his work, and who works hard to transmit that passion to his students. I meet so many people who are surprised that a scientist might think in this way – they feel as if science somehow squashes all the life and meaning out of things – so the more people who get to hear stories like this one, the better!